The 3rd International Workshop on Testing Extra-Functional Properties and Quality Characteristics of Software Systems (ITEQS'19). The workshop will be held in conjunction with the 12th IEEE International Conference on Software Testing, Validation and Verification (ICST'19). 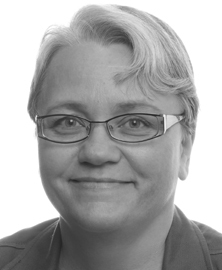 Employed at the University of Skövde since 2000. Got the students award for the best teacher at the school of Humanities and Informatics, Guldäpplet 2012. Currently teaching Software testing, Concurrent programming, Distributed systems, Scientific workshop and Software engineering experimentation, as well as being examiner and supervisor of final year projects at BSc and MSc level. 2017 - 2020, ELVIRA (member). ELVIRA is an EU/ISF funded project focusing on protection of critical infrastructures. In particular the power grid. 2013 - 2018, TOCSYC (program manager). TOCSYC is a SIDUS project, sponsored by KKS (30 MSEK) and coordinated by Mälardalen University. TOCSYC is a joint effort together with Mälardalen University, Swedish Instititute of Computer Science, Blekinge Institute of Technology and Karlstad University to address testing of non-functional characteristics such as performance efficiency, robustness and testability. 2013 - 2015, PILOT (project leader). A NFFP6 project sponsored by Vinnova (3,25 MSEK)and Saab Aeronautics (3,25 MSEK). PILOT addresses the problem of combining model-driven development with the code-coverage metrics that should be used for software testing of safety-critical systems such as avionics. 2012 - 2013, TOCSYC. A SIDUS step 1 project sponsored by Vinnova (0,5 MSEK). This was a joint effort between four universities and one institute to prepare an application for SIDUS step 2. 2011 - 2013, Platform Independent Software Testing (project leader). A NFFP5 project sponsored by Vinnova (3,3 MSEK) and Saab Aeronautics (3,3 MSEK). 2000-2009, Testability in Dynamic Real-Time Systems (PhD student). An ARTES project in collaboration with Enea. Lindström, B. (2009), Testability of dynamic real-time systems, PhD thesis, Linköpings studies in science and technology, Dissertation No 1241, ISBN 978-91-7393-695-8. Y. Atif, K. Al-Falahi, T. Wangchuk, B. Lindström (2019). A fuzzy logic approach to influence maximization in social networks. Journal of Ambient Intelligence and Humanized Computing, Springer. DOI: https://doi.org/10.1007/s12652-019-01286-2. B. Lindström, A. Márki (2018). On strong mutation and the theory of subsuming logic-based mutants. Software Testing, Verification and Reliability, 2018;e1667, Wiley. DOI: https://doi.org/10.1002/stvr.1667. J. Ding, Y. Atif, S. F. Andler, B. Lindström and M. Jeusfeld (2017). CPS-based Threat Modeling for Critical Infrastructure Protection. SIGMETRICS Performance Evaluation, vol. 45, no. 2, pp 129-132. DOI: https://doi.org/10.1145/3152042.3152080. L. Gonzalez-Hernandez, B. Lindström, J. Offutt, S. F. Andler, P. Potena and M. Bohlin (2018). Using Mutant Stubbornness to Create Minimal and Prioritized Test Sets. The 18th International Conference on Software Quality, Reliability, and Security (QRS), Lisbon. B. Lindström, J. Offutt, L. González-Hernández and S. F. Andler (2018). Identifying useful mutants to test time properties. The 2nd workshop on Testing Extra-Functional Properties and Quality Characteristics of Software Systems (ITEQS), Västerås. Y. Atif, J. Ding, B. Lindström, M. Jeusfeldt, S.F. Andler, Y. Jiang, C. Brax and P. Gustavsson (2017), Cyber-Threat Intelligence Architecture for Smart-Grid Critical Infrastructures Protection, The 12th International Conference on Critical Information Infrastructures Security (CRITIS), Lucca, Italy. A. Márki and B. Lindström (2017), Mutation Tools for Java, 32nd ACM Symposium on Applied Computing (SAC), Marrakech. B. Lisper, B. Lindström, P. Potena, M. Saadatmand and M. Bohlin (2017) Targeted Mutation: Efficient Mutation Analysis for Testing Non-Functional Properties, 1st Workshop on Testing Extra-Functional Properties and Quality Characteristics of Software Systems (ITEQS), Tokyo. B. Lindström and J. Mellin (2005), Work in Progress: Testability Experiments. In Proceedings of Real Time in Sweden 2005 (RTiS 2005), Special Session on Testing of Event-Triggered Real-Time Systems, pages. 101-106. B. Lindström, M. Grindal and J. Offutt (2004), Using an Existing Suite of Test Objects: Experience from a Testing Experiment, SIGSOFT Software Engineering Notes 29(5), pages 1-3. M. Grindal and B. Lindström (2002), Challenges in testing real-time systems. In 10th International Conference on Software Testing Analysis and Review (EuroSTAR'02), Edinburgh, Scotland, CD-ROM. B. Lindström, J. Mellin and S.F. Andler (2002), Testability of dynamic real-time systems, In 8th Int'l Conf on Real-Time Computing Systems and Applications (RTCSA 2002), pages 93-97, Tokyo, Japan.